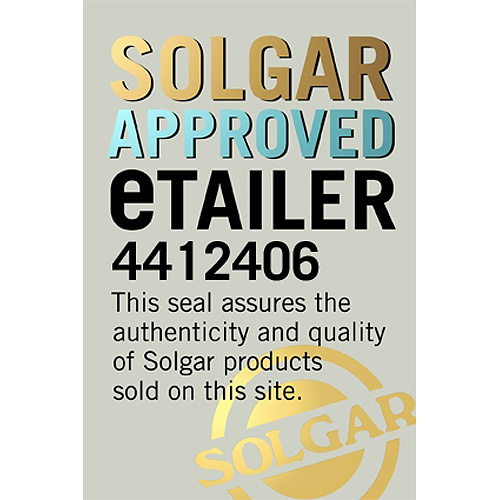 In stock -This product will ship today if ordered within the next 55 minutes. 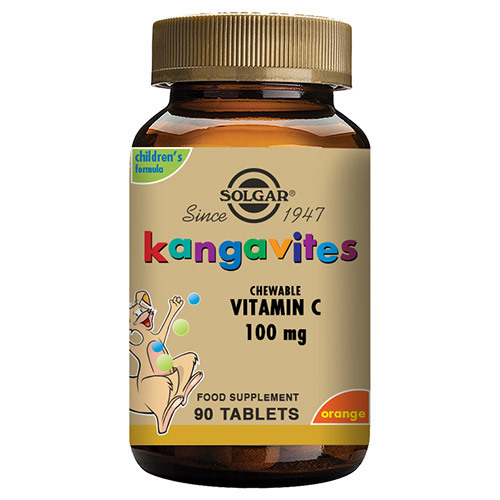 Solgar® Kangavites Natural Orange Burst Vitamin C 100 mg is a chewable product formulated with both parents and kids in mind. 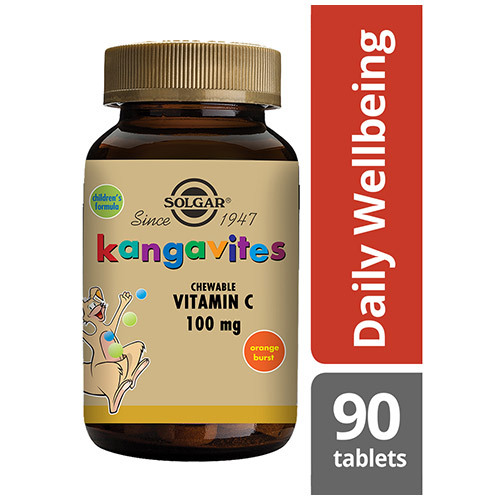 Vitamin C is a water soluble vitamin that helps fight free radicals and to maintain a healthy immune system. It has multiple benefits which supports optimal health, ranging from reducing tiredness and fatigue, to supporting bones and teeth. Sucrose, Fructose, Microcrystalline Cellulose, Manitol, Maltodextrin, Xylitol, Carrageenan, Gum Arabic, Xanthan Gum, Hydroxypropylmethyl Cellulose. Other Ingredients: Orange Flavour, Freeze Dried Carrot Juice Concentrate, Prosweet, Silicon Dioxide, Vegetable Stearic Acid, Vegetable Magnesium Stearate. 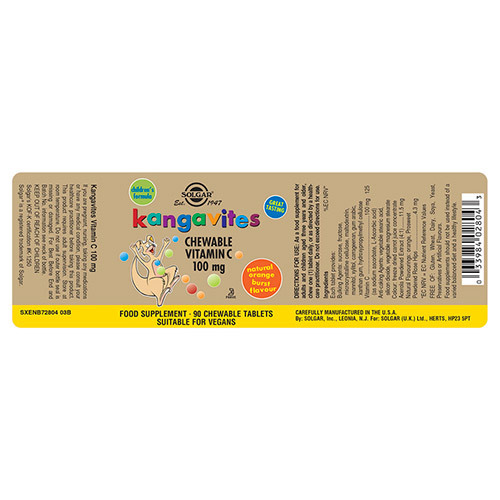 For adults and children ages 3 and older, take 1 chewable tablet daily, or as directed by a healthcare practitioner. 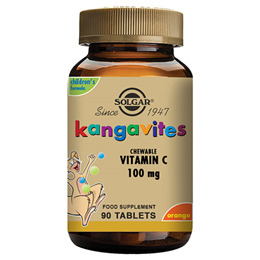 Below are reviews of Solgar Kangavites Childrens Vitamin C - 90 Orange Chews by bodykind customers. If you have tried this product we'd love to hear what you think so please leave a review.